Binary Banc is a SCAM broker and we have blacklisted it in our detailed and factual review and investigation. We have recently received a non-payment complaint in regards to Binary Banc, an unlicensed broker registered in the shady jurisdiction of Tbilisi Georgia. For those of you who are new to binary options trading, you should know that a broker which declines withdrawals must have a very good reason for doing so since it considered to be the cardinal sin in the industry. 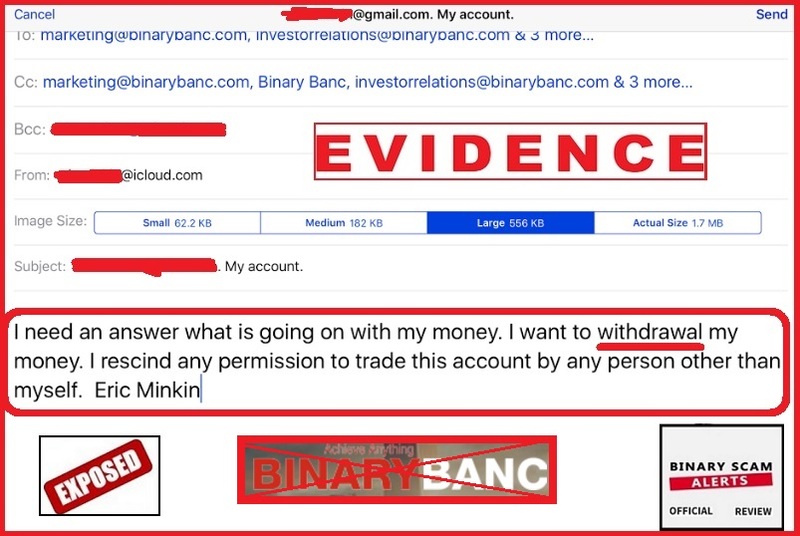 Our most recent complaint about declined withdrawals just arrived from a US-based day trader who was scammed out of a whopping sum of $64,000, and after we started digging in deeper we found out Binary Banc (not to be confused with Banc de Binary) is managed by ChargeXP Investments Ltd. which is owned by a group of criminals who could care less about ethical business practices or the welfare of their customers. This is what we refer to as a “deposit only broker”, and it soul purpose of existence is to generate short-term and immediate gains for its owners. It is viewed as someone’s personal cash cow and explicitly used for stealing money, defrauding, and victimizing unsuspecting traders looking to make a few bucks trading binary options online. Keep reading to see how we document the scam and why Binary Banc deserves to be besmirched, ruthlessly exposed, and dragged through the mud. This broker is unregulated and unlicensed by any trading jurisdiction or or regulatory body such as CySec or ASIC. It is powered by the Panda software which is known to have a checkered past and a dubious reputation for wiping out bank accounts and providing fake signals. The broker offers the standard run-of-the-mill assets such as Forex currency pairs, commodities, indices, and stocks. All of these are powered by the fraudulent software which looks appealing and legit to the naked eye, but in reality it is totally rigged and the so-called “senior account executives” are there to bleed you dry and steal your credit card details so they can over-charge you. The various trading options include 60 seconds, hyper, ladder, long term contracts, binary, one touch, and a social trading or “follow me” feature that allows you to copy other traders. Account types include Micro, Silver, Gold, Platinum, Royal, and Corporate. All of these are set in place in order to give you additional perks such as bonuses or training sessions, if you invest more heavily. They also offer a video library with online courses and webinars which are only available for active traders. Here we have an email which we received from Eric Minkin who has actually taken real screenshots of his account’s trading history. It seems he actually MADE money with this broker, but they are not letting him cash it out. All they do is tell him to keep depositing and deferring payments due to different reasons, but in reality this is the worst type of scam imaginable since the customer is literally seeing how much money is being stolen from them and they can’t do anything about it. Above you will see a screenshot of what Eric sent our staff. It is a preview of the open positions in the trading history section of the binary bank software. You can very easily see the winning history, (which I may say is very impressive) and the actual balance which has been accrued. Below is a formal letter sent to the binary bank management team asking them about cashing out and banning them from trading on his behalf. It’s fair to say this person did everything in his power to get paid, but he has been thrown to the wolves and is now fighting as hard as he can to claim what is rightfully his. To the owners and management of Binary Banc, it does us no honor to openly discredit your broker and company and we will gladly remove or revise our review if and when you remedy the situation and start paying your customers. If you feel we have judged you too harshly we are willing to issue a clarification, but you must contact Eric and at start paying him what he is owed. Otherwise this post will remain as is and we will make sure it gets the maximum possible exposure on YouTube as well as other social media channels. We are approached on a daily basis with requests to endorse new apps and trading systems. The vast majority of these auto-traders are a waste of time, but every now and then we find a solid app and decide to showcase it in our recommended systems. 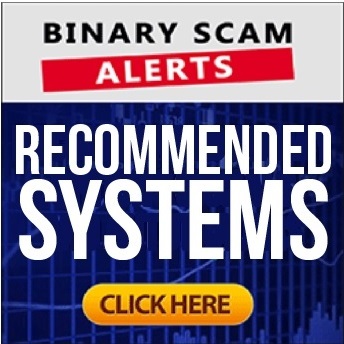 Binary Banc is a SCAM broker and we have blacklisted it in our fair and impartial review. We have also seen it has been exposed by various review sites and complaints boards, so all the dots are starting to connect and the picture is very clear. 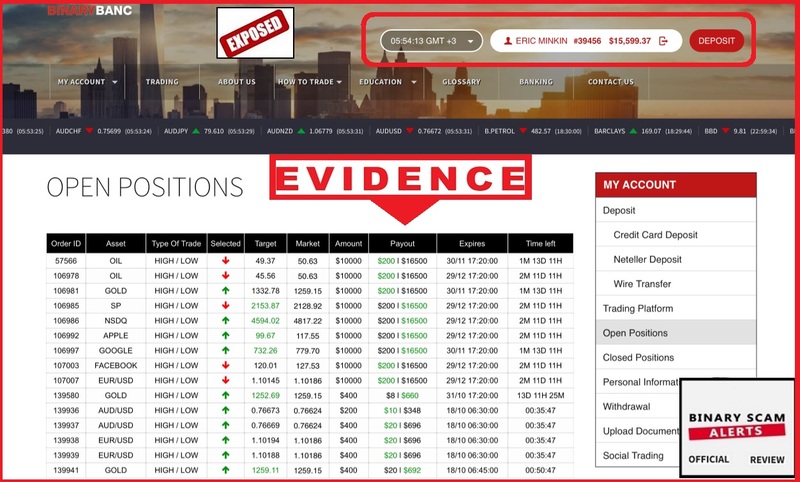 If you have stumbled onto this broker after being enticed by a fake signals provider or fraudulent trading robots like Gemini 2 or Jarvis Formula, you had better hold on to your wallet and never give out your credit card information. We are absolutely certain Binary Banc will steal your money and defraud you, this is a 100% guarantee. We also think trying to piggy back on the reputation of a reputable broker such as Banc De Binary is not only distasteful, its also grounds for a trademark infringement lawsuit. In short, don’t deposit and never give any of your personal information such as email or phone number because they will relentlessly badger you until they have had their pound of flesh.